Fellowship is granted to “academic inventors who have demonstrated a prolific spirit of innovation in creating or facilitating outstanding inventions that have made a tangible impact on quality of life, economic development and the welfare of society,” according to the academy. The 168 fellows elected this year will be recognized in the Jan. 22 issue of The Chronicle of Higher Education, and they will be inducted during the academy’s fifth annual conference on April 15, 2016, at the U.S. Patent and Trademark Office in Alexandria, Virginia. Gore was recognized for his contributions to the early development of magnetic resonance imaging as well as to the invention of polymer gel radiation dosimetry and optical tomography, new ways of measuring complex distributions of radiation doses using special gels and mapping optical properties of materials in three dimensions. “I am delighted that the National Academy of Inventors has recognized the importance of the physics and technology that lie behind many medical inventions,” said Gore, the Hertha Ramsey Cress University Professor and professor and vice chair for research in the Department of Radiology and Radiological Sciences. 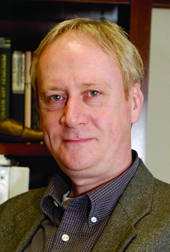 Gore, the first Vanderbilt faculty member elected to the academy, also is a professor in the departments of Biomedical Engineering, Molecular Physiology and Biophysics, and Physics and Astronomy. Since 2012, 582 fellows have been elected to the academy. They represent more than 190 research universities and governmental and nonprofit institutions and hold more than 20,000 patents. There are 21 Nobel laureates among them, and 10 have received the National Medal of Science.